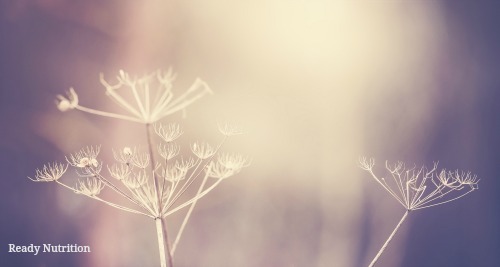 Is Minimalism the True Secret to Happiness? A few years ago my family of four packed up our household and moved across the country. We made the drive in our car while our belongings were hauled in a moving truck. We arrived to our new house with little more than some clothes in our suitcases, the kids’ favorite toys, and whatever necessities (some dishes, our coffee maker) we could fit in the trunk. Soon we found out that our moving truck was running late. A few days turned into what was ultimately more than 4 weeks as our belongings toured the country in a bizarre series of missteps on the part of the moving company. You might think this sounds extremely inconvenient, and of course in many ways it was; however, as a family we quickly became accustomed to having less. Now, when I think back about that month without our things, I think of it fondly, almost longingly. Marie Kondo has built an empire out of minimalism—her primary rule is to only keep material things that “spark joy” in the owner. I can tell you that after a week or so in our near-empty new house, it was difficult to even remember what we’d packed in that truck. I sometimes felt a pang for a particular book or record but the moment would pass. And suddenly life was about noticing moments, something I never seemed to do in our house full of things. So many things! Did we really need any of it? 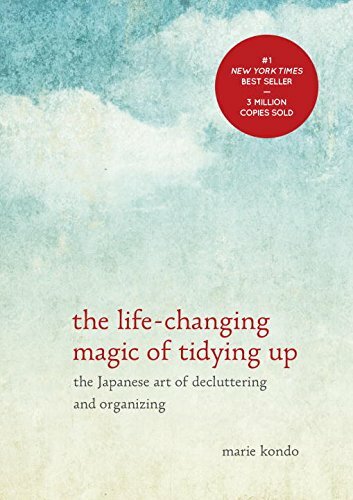 Kondo believes that material things produce a kind of noise in a space, that having too much clutter creates stress in our lives. I tend to agree. Like most American families, we used to buy something almost every day (from clothes to toys to small kitchen appliances). It seems that we sometimes bought things simply out of boredom or on impulse at the grocery store. I’d been aware of this for some time, but it wasn’t until we were without our possessions that I began to realize how much “noise” those things created in our day-to-day life. Without our truck full of things, there was less clothing to put away, fewer dishes to wash, fewer toys to clean up. No television to watch, no computer to fight over. My sons immediately got creative. They pretended their soccer ball was a pet dog and they spent days and days using a few pieces of colored chalk to decorate our patio floor in an intricate mural. There was no couch to sit on, so we spent more time outside or built blanket forts together. I did very little housework and I didn’t get too worried about the kids breaking things (there was nothing to break!) or messing up the floors because cleaning up was so much simpler without clutter. We eventually bought a few folding chairs and a neighbor let us borrow a card table so we could eat dinner together. That was when I realized it: we were happier than we’d been in months. We were better off this way, with just the bare minimum. I’m not saying everyone should live out of a suitcase in an empty house, but I believe there is a happy medium. Once your house is comfortably furnished with necessities, why keep adding to it? Why not only buy the things we really need or things that “spark joy”? Why not keep furniture and knick-knacks and toys to a minimum? Or see how long you can go without buying anything at all? Don’t get me wrong, I was excited when I saw our moving truck pull up, but the lesson stayed with me. When I was unpacking, I left maybe 40% of the items in their boxes. I put those boxes on a shelf in the garage. After a few months of disuse, I donated the contents: mainly toys and games we didn’t play, books I had meant to read for years, clothes we didn’t need. My grandma used to say no matter how much you think you want some material thing, one day you’ll be begging somebody to take it off your hands. Minimalism, she insisted, is the key to a peaceful life. I never really understood what she meant until the moving truck incident, but now I think she had the right idea. This information has been made available by Ready Nutrition: Is Minimalism the True Secret to Happiness? Pamela Bofferding is a native Texan who now lives with her husband and sons in New York City. She enjoys hiking, traveling, and playing with her dogs.